Snowed into the kitchen we warmed it up by using the electric oven for heat … great little trick to get things going … bake something ! A resolution for 2014 or a chance to enhance or add something into your lifestyle , life and daily routine. In 2013 I was wow’d by the Chia sea ! Now after causal inserting Chia into my world in 2013 I can share with you the ways in which I have incorporated Chia ! LYFE * love your food everyday * Chia seeds are raw and the benefits thrilling … !! At a hip n ‘ happening downtown Chicago hosts LYFE Kitchen, the premiere midwest location. A menu item includes LYFE Water … main ingredient is in fact the Chia Seed ! Muddled strawberries , mint , and lime accompany the Chia seeds soaked into the water over night orfor 4 hours in the fridge. Chia can be sprinkled on steel cut oats or just in oatmeal straight up. Drizzled on top of a smoothie or blended in. 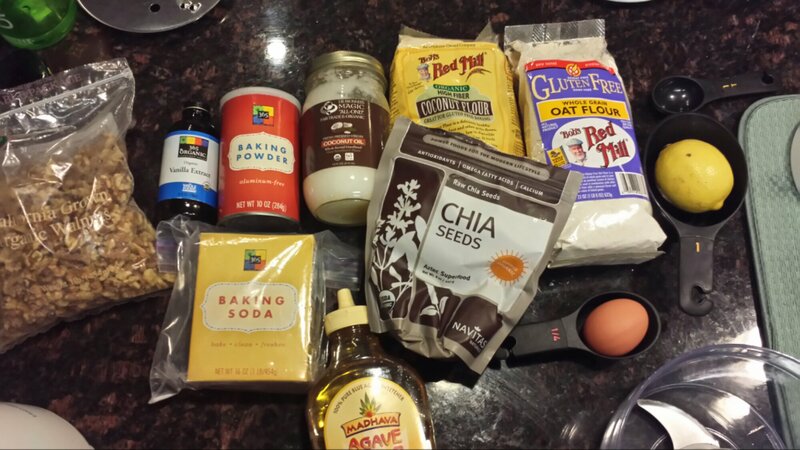 Last night … experimenting in the kitchen went down with 1/4 Cup of a Chia seeds. The ingredients will be posted as a recipe format in the next blog post … for now you’ll have to salivate on these photos and captions ..